Yes we have a winery 45 minutes from Las Vegas. It makes for some awesome wedding pictures not to mention you get the perk of great wine and great food. It is a beautiful winery with many offerings. We do very simple elopements with just a couple to a full blown wedding with all the bells and whistles. 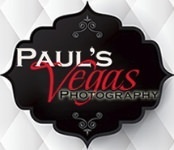 At Paul's Vegas Photography we can offer you all of these things for your wedding, with just a phone call. Limo to your wedding? We can do it! Flowers that you have always dreamed of? We can do it! An intimate dinner for you the 2 of you after the "I Do's" or a guest list of 50. We can do it! Here are a few images we captured at the Pahrump Valley Winery over the hump to Pahrump (Nevada).